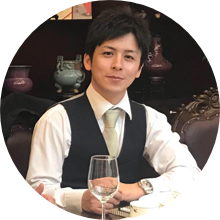 © 2019 D-ZONECOIN(DZC) Co-Founder Tomoya Tsujigawa. （We plan to add more and more interesting features to this DZC wallet. To use the wallet for real life! We are always recruiting blockchain engineers. You don’t have to know the blockchain at first. If you have experience with node.js, java, swift or are interested, why not develop with us? This is a newly born technology. You will be excited every day by the succession of discovery and creation.